For 230 years organizations modelied themselves with industrial age principles. Then in 1997 a new age dawned for progressive organizations who took a completely different perspective to align your organizations to develop and deliver Successful Customer Outcomes. ​In 2010 following indepth exposure, research and learnings Steve Towers published the story so far, and articulated this new radically different approach - The Secret -Outside-In. In 2014, a set of key principles around Outside-In had become 'next practice'. James Dodkins brought his learnings and experience to identify and codify the next practice into 'Foundations'. How do you consistently deliver success? What organization structures whould you deploy? Who is setting the pace, and how can we learn from them? 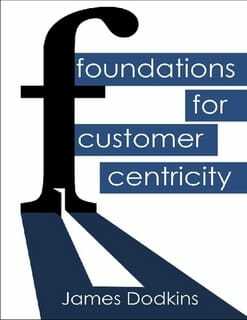 How can leadership 'walk the talk' of customer centricity? "...the best sessions I have ever taken in my 20+ years as a professional. After those sessions, I was able to have immediate impact on my organization."